Show order ID in order Success. 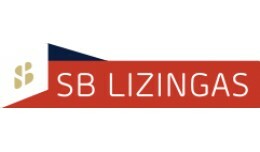 Leasing payment module SBlizingas Leasing calculator integrated. SBlizingas (Ūkio banko lizingas) atsiskaitymo modulis skirtas Opencart TVS (turinio valdymo sistemai), kuris leidžia už prekes ir paslaugas atsiskaityti naudojantis SB.. 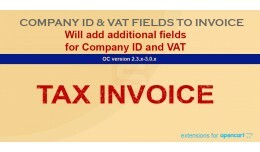 Features: This extension allows you to add additional Company ID and VAT number fields to your invoice. Leasing payment module Mokilizingas Leasing calculator integrated. MOKILIZINGAS atsiskaitymo modulis skirtas Opencart TVS (turinio valdymo sistemai), kuris leidžia už prekes ir paslaugas atsiskaityti naudojantis MOKILIZINGAS elektron.. 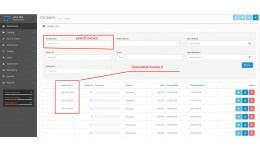 This module allows you to restrict checking out if any of the conditions are not met. The checkout button will be disabled. And a warning message will explain what must be done to allow checkout. 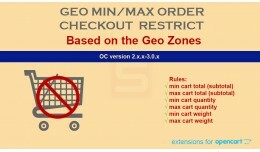 √ Set Cart minimum Total o.. This module let you add additional options to your products fully automated. After product will be purchased, you'll be able generate warranty certificates just in one click. *volume and weight based. *based on GeoZones. 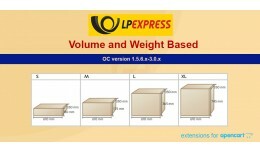 *import of terminals from LPexpress database. *customer selects desired terminal from a drop-down list on shipping step of checkout *Home delivery. *COD. 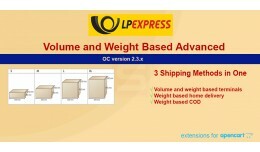 Atnaujinata 2018-01-18 Opencart vers..
LPexpress Shipping Advanced Terminals volume .. 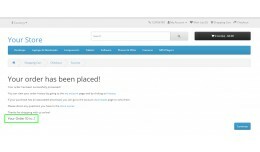 This Welcome Popup module allow shows a modal popup with your own information. You can also add different popups on every page in your store, all with there unique set of information and settings. On holiday or event you can easy add .. 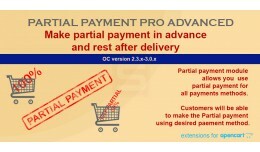 This Partial Payment Total Pro Advanced module allows you use Partial payment for all payments gateways. √ Pay Partial payment for the goods. √ Based on Customer groups. √ Based on Product categories. √ Possibility restrict addi..
Extension Total based will allow you to add an extra charge for a payment. 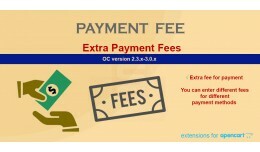 You can also add negative fee for the payment it is mean that you can make discount for some payments. *volume and weight based. *based on GeoZones. *import of terminals from LPexpress database. *customer selects desired terminal from a drop-down list on shipping step of checkout Atnaujinata 2018-01-18 Opencart versijoms 2.3.x ir 3.0.x Š..
LPexpress terminals volume and weight based shi.. This Partial payment total module allows you use Partial payment for all payments methods. 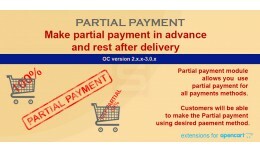 Customers will be able to make the Partial payment with desired paement method. Customers will be able to make the Partial payment with desired .. 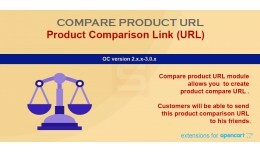 Compare product URL module allows you to create product compare URL . Customers will be able to send this product comparison URL to his friends. Customers will be able to send this product comparison URL to his friends via Addthis. ..
No VQMOD required! Features -------- * Customer group * Manufacturer based. * Categories based * Start/End Date set. You can update different special prices for the different Categories or Manufacturers separately. If you not need speci.. Adds Admin invoice number to order list. Adds search invoice number. If you like it give me 5 stars! And leave some comment.